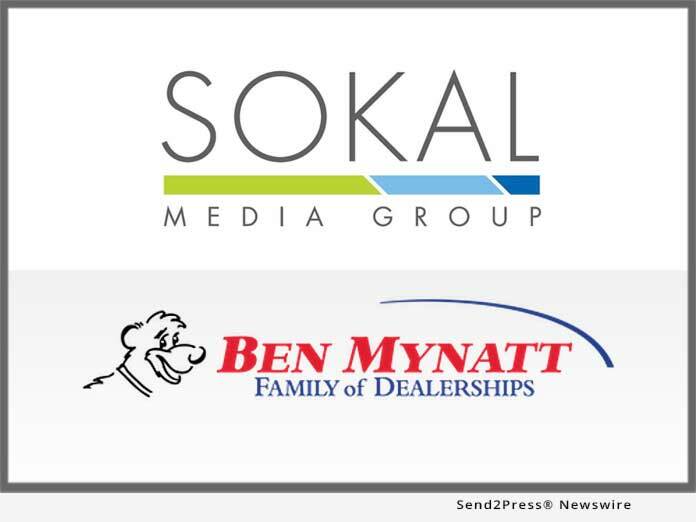 Automobile advertising agency, Sokal Media Group, is proud to be the new agency of record for the Ben Mynatt Family of Dealerships. Ben Mynatt Family of Dealerships has reputation for honesty, fairness, and service. The group includes Ben Mynatt Nissan in Salisbury, Ben Myatt Preowned in Kannapolis, Ben Mynatt Buick/GMC and Ben Mynatt Chevrolet/Cadillac. Automobile advertising agency, Sokal Media Group, is proud to be the new agency of record for the Ben Mynatt Family of Dealerships. Ben Mynatt Family of Dealerships has reputation for honesty, fairness, and service. The group includes Ben Mynatt Nissan in Salisbury, Ben Myatt Preowned in Kannapolis, Ben Mynatt Buick/GMC and Ben Mynatt Chevrolet/Cadillac, both located in Concord.